The line up for the 2019 edition of the A Murder of Crows NYC Goth & Post-punk Festival has been announced. 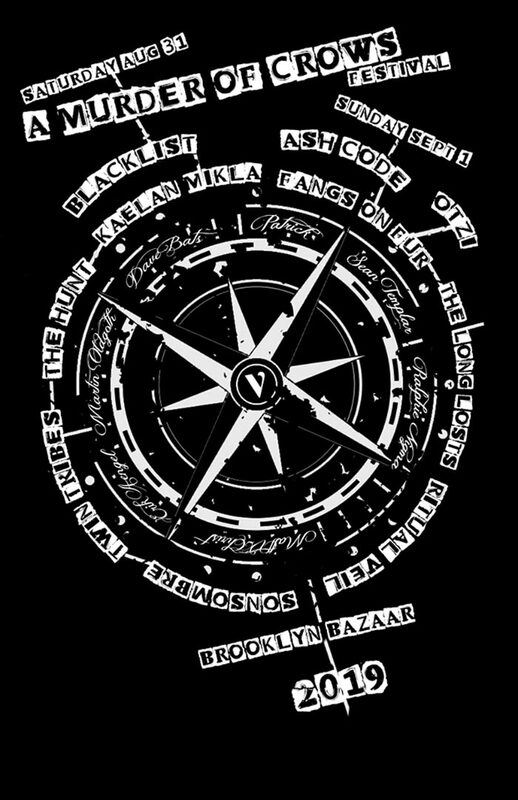 The event takes place Saturday, August 31st – Sunday, September 1st, 2019 at the Brooklyn Bazaar in New York City. The festival also brings back the DARK MARKET with 100% of fees going to The Sophie Lancaster Foundation.